When you first open your doors to serve customers, you feel a raw enthusiasm, and most business owners will take their passion and ensure that they have both the knowledge and resources available to help their customers. However, they will often overlook one essential aspect of their business: A copier. You have distinct differences between copiers that should be noted when looking at a system. If you want to create a high volume of promotional materials and other things that your customers will notice, then we recommend choosing a copier that prints in color. While it does cost a little more, statistics have shown that colored documents receive a better response. Meanwhile, black-and-white copiers are a better choice if you do not need to convey information to customers because they are less costly. If you cannot afford a color copier, you can always lease one, which will give you more affordable monthly payments. When choosing a model, you also want to look at durability. 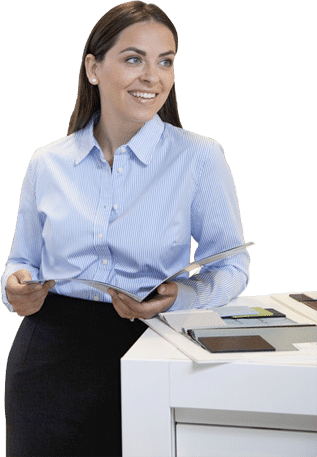 If you will be printing a higher monthly volume, then you will want a copier that can handle the volume because, otherwise, your copier will break down more often.